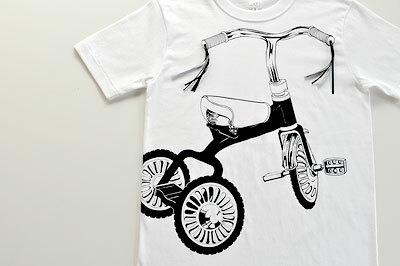 A screen-printed tricycle over the t-shirt. 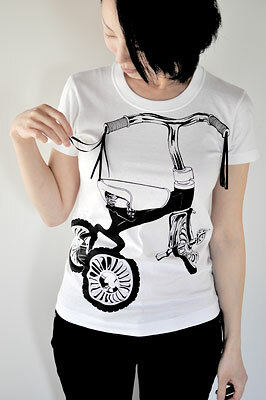 Tricycles of our childhood was fascinated, made of metal and with some reliable feeling. And on top of those tricyles, there were lines of colorful ribbons brown in the wind. 5 lines of silky satin ribbons. 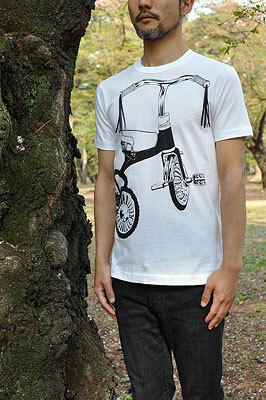 Recommended both for men and for women. With the combination of Massive graphic and satin ribbons, it's recommended both for men and women. 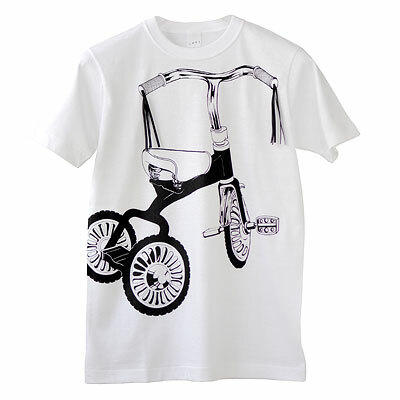 "Kids Tricycle" T-shirt is also recommended!